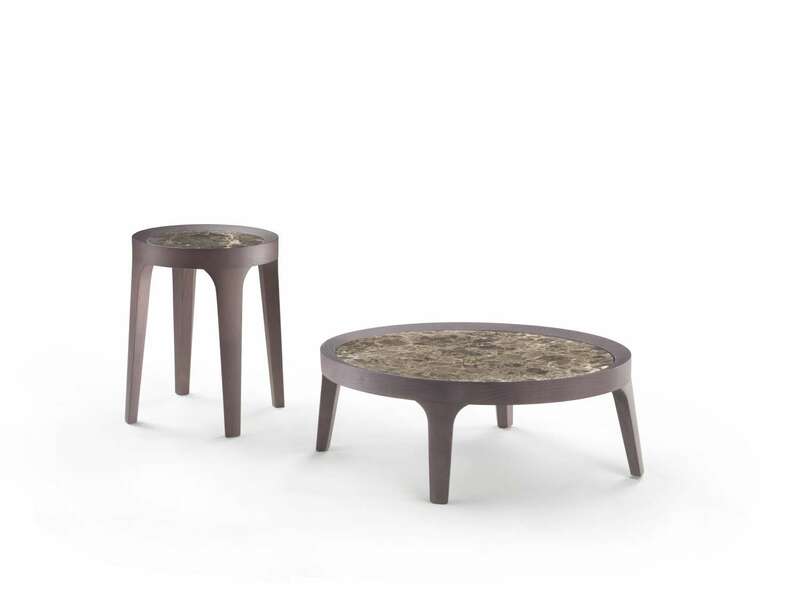 An ottoman and tables with a solid ashwood base. 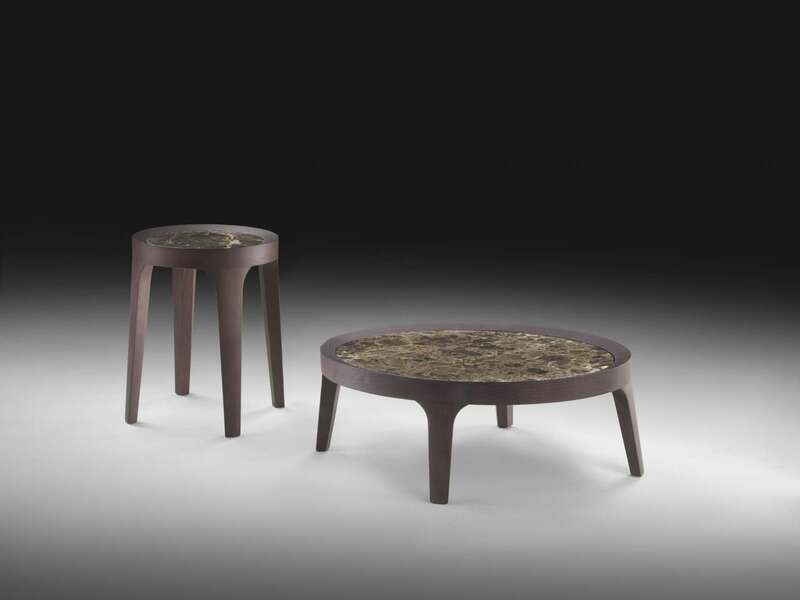 The round or oval tables, of different heights, feature tops in marble or wood, set into the wooden frame. 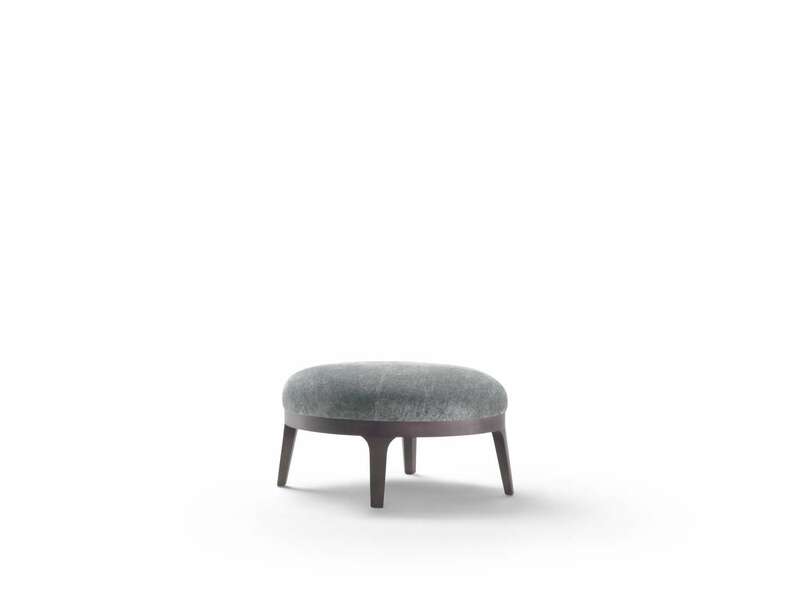 The firmly padded ottoman has an original oval form. 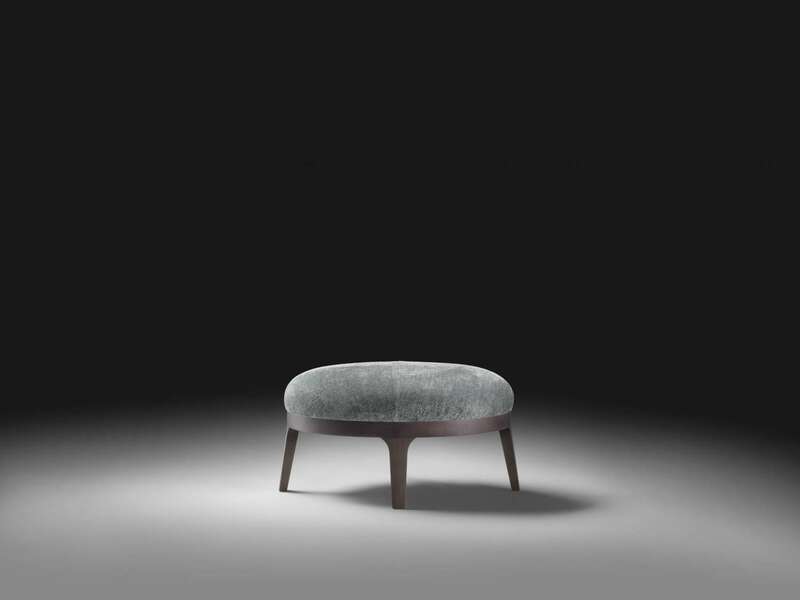 Versatile items, also appealing in small groups, that becomes useful accessories for the living area, possibly in the company of a large sofa.